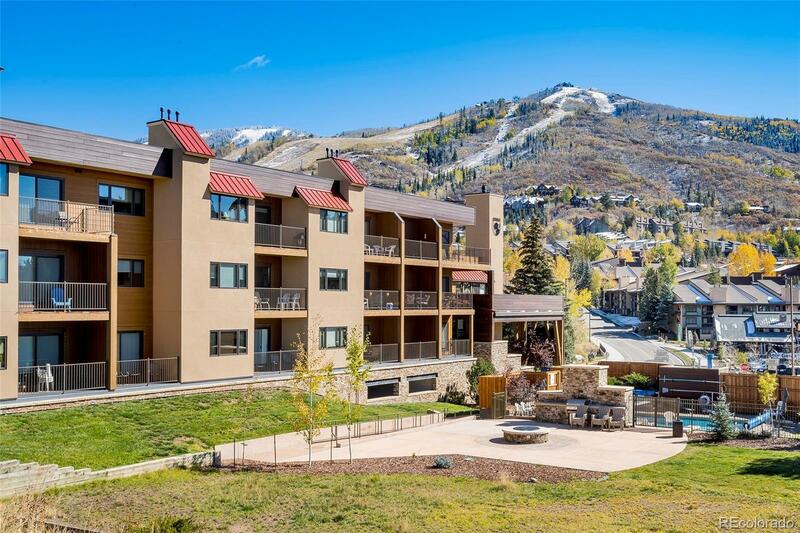 Hard to find desirable furnished studio at the Snowflower Condominiums just steps to the Steamboat Gondola, world class skiing, shopping, restaurants, hiking, biking and more. This condo is filled with south facing sun looking to the Flattops. Enjoy the incredible location after a day of skiing next to a gas fired fireplace, full kitchen and full bath. There is a large covered community parking garage to keep your car out of the elements. The Snowflower has a heated pool, outdoor fire pit, hot tubs, elevator and two outdoor grilling areas. These gems don't come along often!